Every once in a while I'll treat myself to a Dr Pepper while I'm at work. 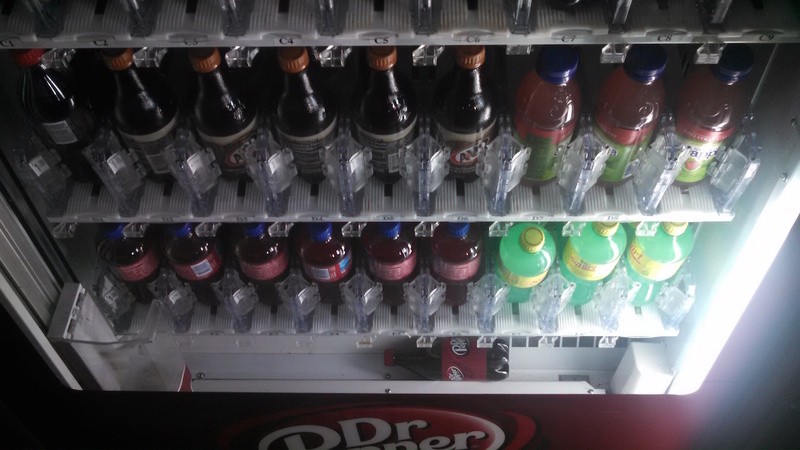 Yesterday I saw that something was amiss with the vending machine. One bottle was leaning forward and another was partially released. "No problem," I thought. "I'll just select a different row." Which I did. 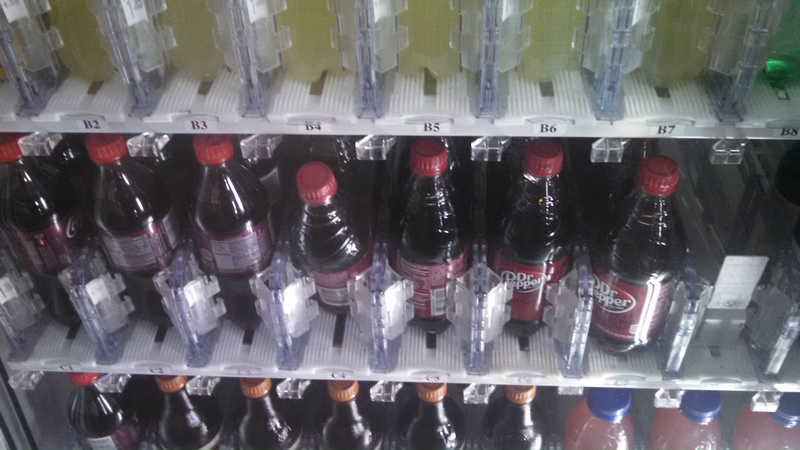 The retrieval mechanism moved to the row I selected but the bottle was not pushed forward like it was supposed to be. Instead it leaned forward. The machine paused. I was about to try to rock it when the retrieval mechanism moved up and down, knocking the bottle out. It fell to the bottom of the machine. 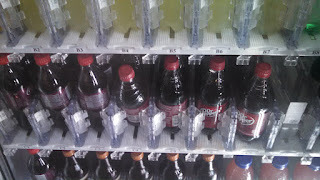 Fortunately, the machine had been programmed to recognize that a bottle had not been properly dispensed and it refunded my money. I'm sure you put the money back into the machine.